Hyundai unveiled full specification and pricing for the 2013 i30 hatchback, which is scheduled to launch in the UK on 12th March. The OTR starting price for the entry level Classic i30 model is £14,495. The new generation i30 builds on the success of the cars it replaces – bringing with it a new level of style, interior quality and technology – adding emotional as well as rational appeal. 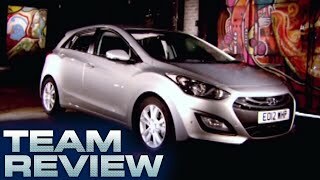 Hyundai’s New Generation i30 brings style, efficiency and comfort to the compact family car segment. Prices start at £14,495 on-the-road with insurance group ratings from Group 7E. Blue Drive technologies standard on all 1.6 CRDi manuals with CO2 emissions from just 97g/km and fuel economy up to 76.3mpg. Lowest priced diesel five-door hatchback with highest fuel economy in its segment. Real-world efficiency from 128PS 100g/km 1.6 CRDi means no compromise between power and emissions. Competitive prices across the range with a high level of standard specification. Hyundai has today announced full pricing and specification for its exciting New Generation five-door i30 hatchback, due for launch in the UK on 12 March. Prices for i30 start at £14,495 on-the-road for the entry level Classic model, which comes with insurance ratings from Group 7E, making it one of the most cost effective C-segment cars to own and run. Hyundai’s newcomer builds on the success of its predecessor. 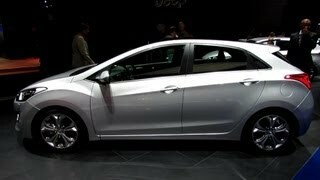 First launched in 2007, the outgoing i30 was the first ‘i’ product in Hyundai’s range and introduced new standards of quality and driveability to the Hyundai product line-up. The new generation i30 will build on the achievements of the cars it replaces – bringing with it a new level of style, interior quality and technology – adding emotional as well as rational appeal. The new generation Hyundai i30 will be available in four main trim levels including Classic, Active, Style and Style Nav, while customers will also have the choice of either petrol or diesel engines – including Hyundai’s latest ultra-efficient 1.6-litre diesel unit that emits less than 100g/km CO2 – there will be five engine outputs on offer with a choice of manual or automatic transmissions. Hyundai’s clean and efficient Blue Drive technologies come on all 1.6 CRDi manual models as standard and feature Intelligent Stop & Go Technology. The powerful, yet efficient unit is available in outputs of 110PS and 128PS; the former boasting the lowest CO2 emissions figure for a diesel car in its segment with 97g/km. The 128PS unit meanwhile is the perfect example of true efficiency where customers get a more powerful engine without the associated drawbacks of high fuel consumption and emissions. New standard features on the i30 include voice-activated Bluetooth®, LED daytime running lights, multi-function steering wheel, electrically adjustable and heated door mirrors and one-touch indicators. Safety systems added as standard across the range include Vehicle Stability Management, Emergency Stop Signal and Hill-start Assist Control. Active trim level, adds 15” alloys, cruise control, rear parking sensors and Hyundai’s new dynamic Flex SteerTM system, which gives the driver the option of three settings namely: Comfort, Normal and Sport. All ‘Style’ models benefit from 16” alloy wheels, dual zone climate control, front parking sensors, rain sensing wipers, cornering lights, automatic headlights, automatic de-fog system for front windscreen and electrically folding door mirrors with LED indicators. Topping the trim will be Style Nav, which brings a fully integrated touchscreen satellite navigation system and rear view parking camera. Established in 1967, Hyundai Motor Co. has grown into the Hyundai Motor Group, which has ranked as the world’s fifth-largest automaker since 2007 and includes over two dozen auto-related subsidiaries and affiliates. Employing over 75,000 people worldwide, Hyundai Motor sold approximately 4.1 million vehicles globally in 2011. Hyundai vehicles are sold in 186 countries through some 5,300 dealerships and showrooms. 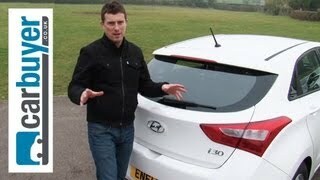 Hyundai Motor UK Ltd has been named Best Car Manufacturer 2011 by Which? magazine and Car Franchise of the Year by Motor Trader in 2010 and 2011. All passenger cars now come with Hyundai’s industry-leading 5 year Triple Care package.